Looking for an end of term gift or a gift for Christmas? 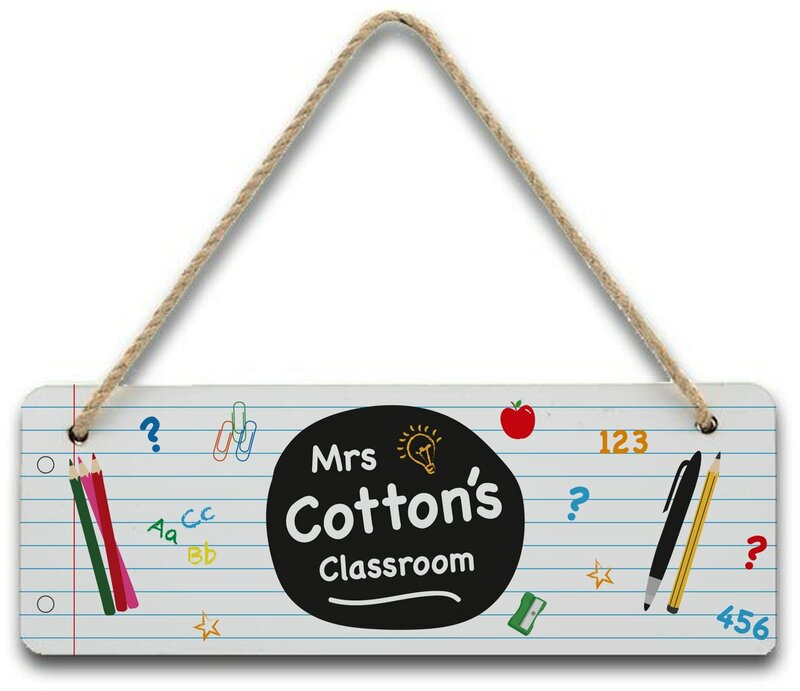 Look no further; this colourful hanging wooden sign will make any teacher smile. Simply personalise with your chosen teacher’s name of up to 20 characters. Please note ‘Classroom’ is fixed text. Finished with a high gloss and complete with hanging rope. A fitting end of term gift or even a thank you for the teacher in your life, this blackboard design notebook will look right at home on any teachers desk. Looking for an end of term gift or a gift for Christmas? Look no further; this fun 11oz mug will make any teacher smile. Celebrate the end of term with this lovely gift for your favourite teacher.